April Event: Twisted Bran Castle! [GM]ATLAN started a topic April Event: Twisted Bran Castle! A dark and horrendous castle has materialized from the nightmares of Southern Europe, do you have what it takes to overcome the demons and monsters that lurk in this malevolent fortress? Only the worthy challengers will be rewarded! Can you retrieve the blunderbuss? 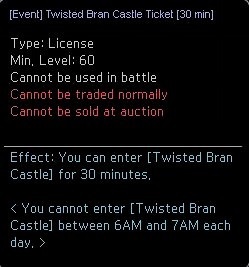 To access the Twisted Bran Castle, an event ticket is required. Once the ticket is consumed, you only have 30 minutes to defeat as much monsters as you can. You will be teleported out once the timer has ended. During the event, tickets and boxes will be distributed for every hour that the player is online. 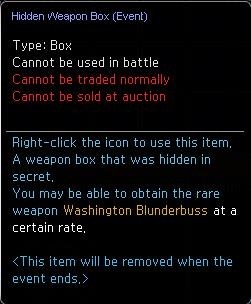 A box that contains various items and materials, and the prestigious weapon: Washington’s Blunderbuss. Good luck to you Atlantian and may the gods protect you. Notice: Twisted Bran Castle Tickets will be deleted after the event.